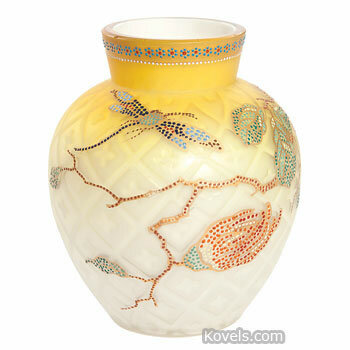 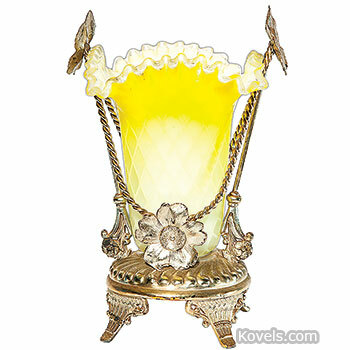 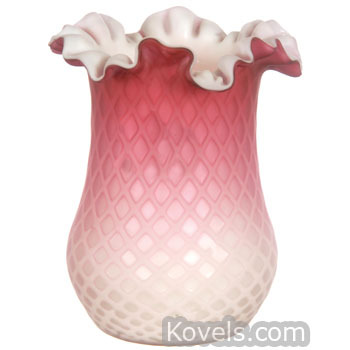 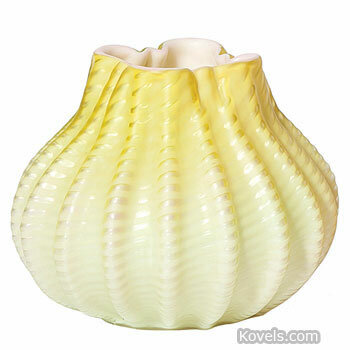 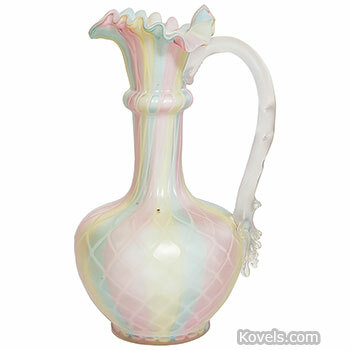 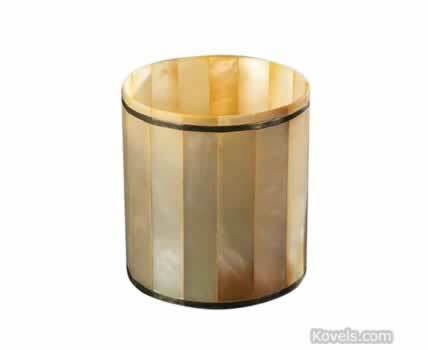 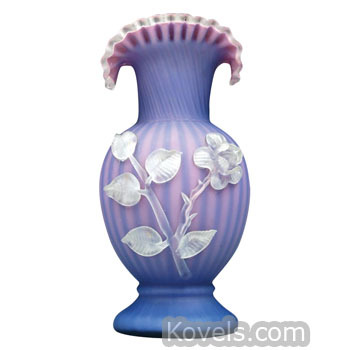 Mother-of-pearl glass, or pearl satin glass, was first made in the 1850s in England and in Massachusetts. 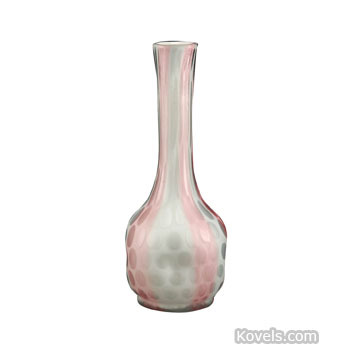 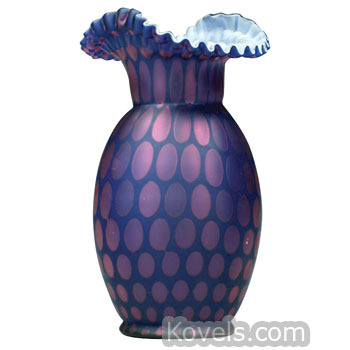 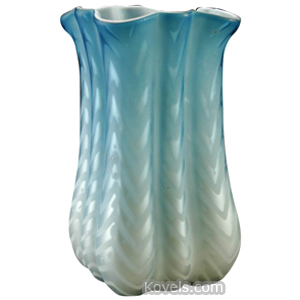 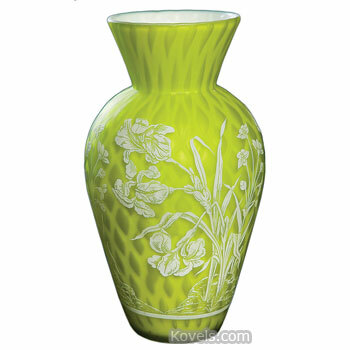 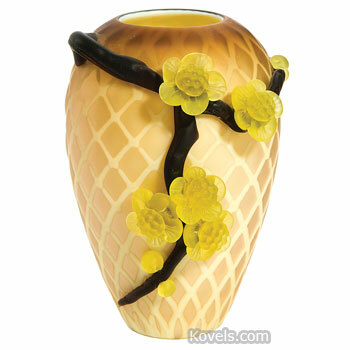 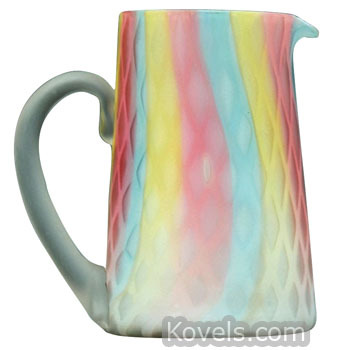 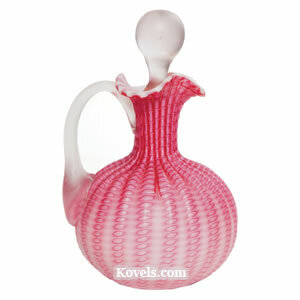 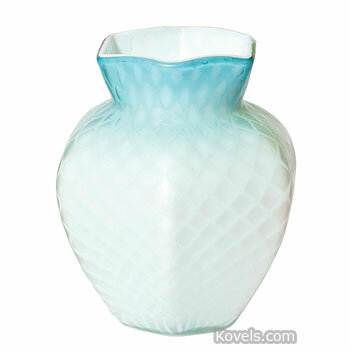 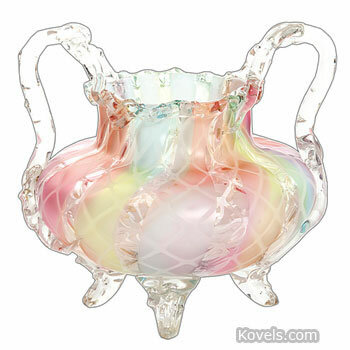 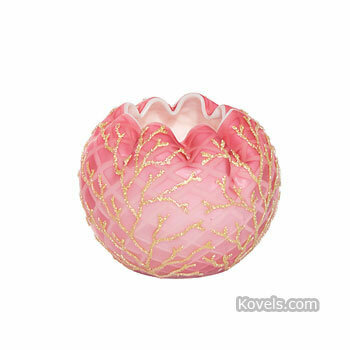 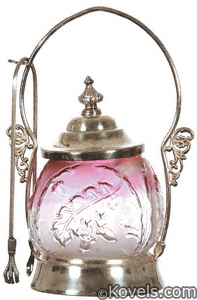 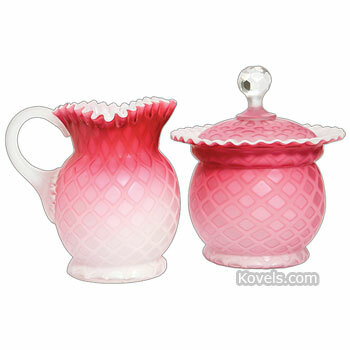 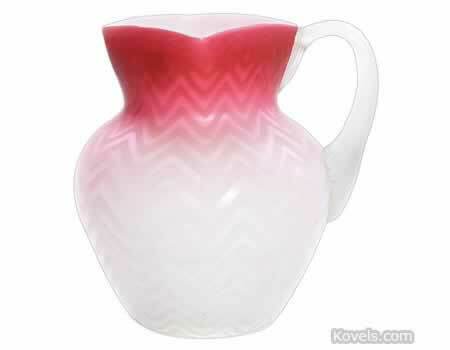 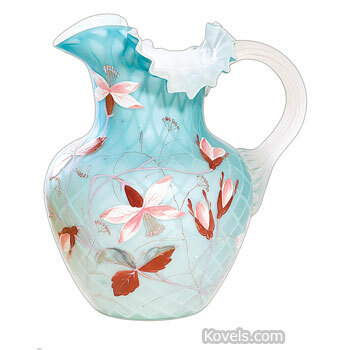 It was a special type of mold-blown satin glass with air bubbles in the glass, giving it a pearlized color. 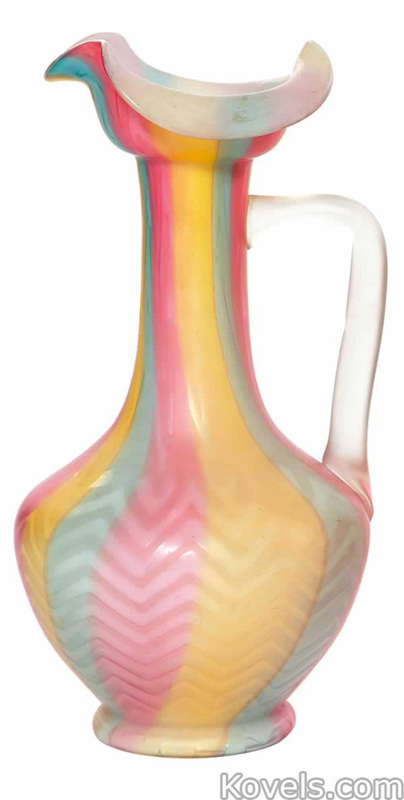 Exposure to acid vapor gave the piece its satin finish. 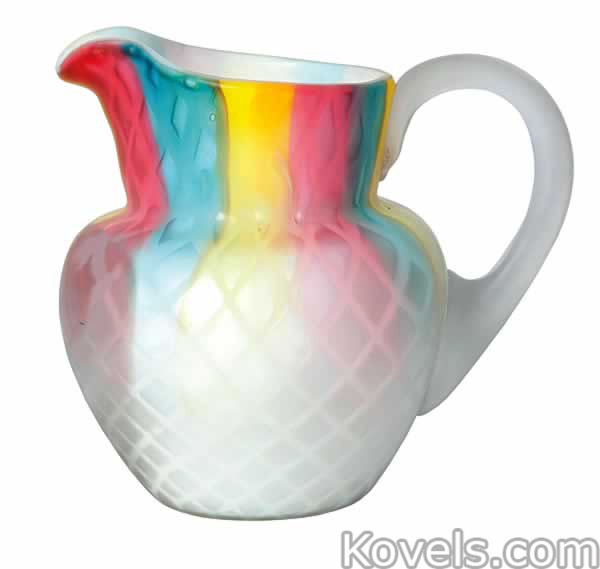 It has been reproduced. 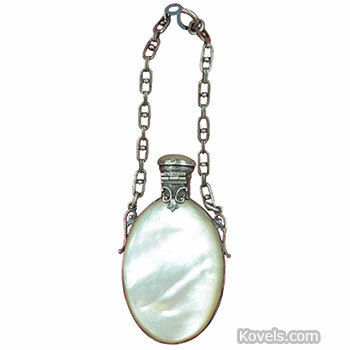 Mother-of-pearl shell objects are listed under Pearl.